Lewis Pain Management provides comprehensive pain management treatment to residents of Frisco,TX as well as the surrounding areas. Dr. Jerry Lewis and his team perform several pain management services, including patient education, medication regulation, care coordination with other healthcare providers, minimally invasive procedures, and more advanced interventional procedures to treat chronic intractable pain. At Lewis Pain Management, our goal is to create the best treatment plan possible for every patient in order to restore their quality of life and allow them to live comfortably. Browse our site to learn more about our exceptional team of physicians and the services we provide. At Lewis Pain Management, we offer a variety of diagnostic testing and treatment procedures for individuals suffering from chronic pain. We want to help you understand the cause of your pain so you can determine the best treatment option for your specific needs. Regenerative therapies work to stimulate healing and regeneration of joints and muscles..
Our practice provides injections to help diminish several areas of joint pain.. 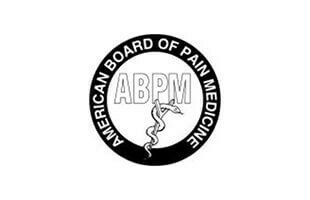 Pain medications can be used to help manage chronic pain in all areas of the body. . Injury can occur at any time, which is why we perform many services to help get you back on your feet..
We provide several minimally invasive treatments to manage and diagnose chronic back pain..
As a form of treatment for muscle pain and inflammation, we offer injection therapy and trigger point injections..
Dr. Jerry Lewis is a pain management specialist with over 28 years of experience in diagnosing and treating patients with chronic pain. He understands the importance of finding the root cause of pain in order to more accurately treat it, which is why he offers both diagnostic testing and treatment procedures. For his patients experiencing chronic back pain, Dr. Lewis provides several procedures including radiofrequency ablation, epidural steroid injections, spinal cord stimulation, sacroiliac joint injections, etc. He also performs regenerative procedures for joint pain, such as stem cell therapy and PRP therapy. Dr. Lewis treats all areas of the body that are susceptible to chronic pain, which includes migraines and pain due to trauma or injury. To learn more about Dr. Lewis and the many services he provides, browse his bio and our numerous procedure options. "Dr. Jerry Lewis has been affiliated with me since 2006. I’ve had Bi-Lateral Knee, Neck, Shoulder (left and right) Foot (right & left) operations. Before doing a surgery, Dr. Lewis tries an alternative method with the Steroid injections, which helped me avoid surgery for a few years. I go to Lewis Pain Management one a month. I’m expected to bring the medication he prescribed for me so it can be verified. If you have any medication left, you must bring it and the container you received it in so the PA can closely monitor the intake. Dr. Lewis hosted a seminar on the Boston Scientific Nerve Block Stimulator in the Fall of 2017. Dr. Lewis is so thorough with his patients. He had a speaker come that had the implant and answered our questions. I had one installed December, 2017 and it has helped me so much. Dr.Lewis staff is educated and professional. They treat each person with respect and dignity! India, Edith, Tracey, Harold, Jeanette, and Stephanie are always ready to make your visit pleasant. I live in Rowlett, TX, and there are other Pain Management Facilities much closer to me but I will drive the extra miles to the Lewis Pain Management facility located in Frisco because it’s worth it!!!! Kay N. Foster"
"After weeks of intense neck pain and mostly mismanaged care with ER visit and a TBI doctor's staff, I asked my daughter-in-law for guidance. Without hesitation, she gave me Dr. Lewis' name, as she had been a recovery nurse for his surgical patients. I will be forever grateful to Jeanette in Dr. Lewis' office who answered the phone. As the result of her professional and compassionate concern and Dr. Lewis' skill, I was pain-free within days of initial contact. 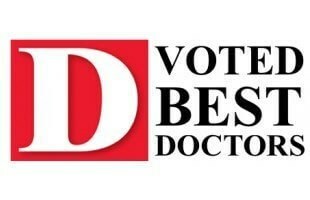 Definitely recommend Dr. Lewis!" "It’s been over 2 years since my 3 injections for my nerve pain in my neck. First injection, still had pain, second injection, much less pain but still had pain. Third injection, pain was gone and has not reoccurred in over 2 years. Staff is excellent, prep doctors and nurses were excellent and friendly. The three procedures went without any problem. My experience with Dr. Lewis and his staff was first rate. Thanks for the pain relief." "Dr. Lewis, Tracy, Harold, and all of the team do a great job! Would highly recommend this practice!" "Awesome--timely, friendly, professional; great staff--Harold and Tracey are exceptionally attentative and pleasant. 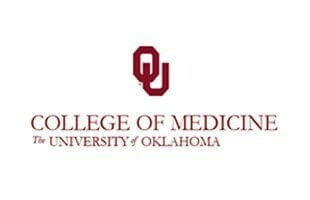 I moved farther away but gladly drive the 40 miles to stay with Dr. Lewis & his staff!!!" To help you learn more about our practice, we invite you to browse through our services, meet our team, and tour our facilities. Meet our experienced and trained team. Take a tour of our state-of-the-art facilities. Treatments based on the cutting edge of biologic medical research. Learn more about the many services that we provide.